Elements of luck and good fortune feature heavily in many online slot machines, especially those with an oriental theme and here we have another one to add to the list in the shape of Lucky Rooster; it’s developed by High 5 Games and it comes with their Scatter Bucks rewards and plenty of free spins. 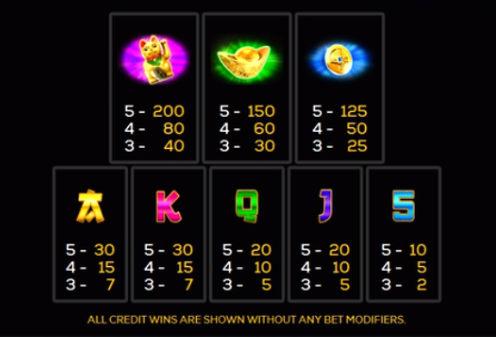 Lucky Rooster is a five reel slot with four rows and 1024 ways to win which means there’s no payline structure – wins can be formed as long as there are matching symbols in adjacent rows starting from the left hand side. The three theme-related symbols are a Maneki Neko waving cat, a shining gold ingot and a gold ingot; the lower values are 5, J, Q, K and A. The rooster is wild, it appears on reels two, three, four and five and it will replace all other symbols to help form winning combinations except for the firecracker scatter icons. Three Scatters – 7 free spins. Four Scatters – 15 free spins. Five Scatters – 30 free spins. There’s nothing extra going on in this round and it’s not possible to trigger any more spins from within it. In Lucky Rooster the wild symbol is not just a wild, it’s a symbol which appears with a credit value attached from 40x to 4000x your stake; you’ll receive the sum of any of these values in view once the reels have stopped spinning. 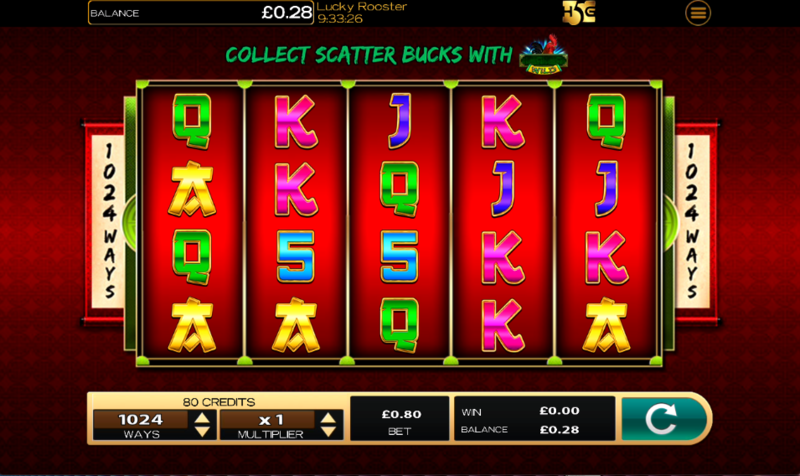 Lucky Rooster is rather a basic slot but it’s designed in a similar way to other High 5 games so if you enjoy those then you’ll like this; we do like the Scatter Bucks and there’s an RTP of 95.00%.